Raymond Asquith to The Times, February 1914. But it is everything to do with what some would like the public to think. Daily Sketch May 2, 1912. RAYMOND Asquith was a junior counsel for the Board of Trade at its Inquiry into the sinking of the RMS Titanic. He was there for ninety days, into the summer of 1912, and he questioned Boxhall, Hemming, Beauchamp, Mackay, Dillon, and a clutch of others. The son of the sitting Prime Minister, Raymond Asquith knew as much as anyone of the proofs and the evidence as to what happened that night. The Crown paid him £864 for his troubles. A letter from Asquith to The Times in February 1914 mocked the dire predictions of The Times itself, among other notables, that civil war would surely follow if Ireland were to be granted Home Rule. The letter was subtitled ‘A Titanic Analogy,’ and it is remarkable in that it unwittingly debunks in advance the claims of modern conspiracy theorists that the White Star Line would sink a vessel in order to reclaim the insurance. In that respect, it might be said to be a prognostication in itself. It is The Shtick of Robin Gardiner Foretold! Raymond Asquith’s highly colourful views were penned in a Philippic to Britain’s oldest daily newspaper, itself known affectionately as ‘The Thunderer,’ in response to a leading article the paper had carried. The leader on page nine of The Times on Monday, February 23, 1914, noted that the House of Commons was to begin the business of a momentous session that would finally clear the way for Home Rule for Ireland. The newspaper, a bastion of the Establishment, hated the idea - and had championed the cause of the naysayers for decades. Now it pronounced in its columns that the Opposition - the Conservative party in the main - was charged with a duty of the "utmost seriousness." It warned: “Unionists are convinced that the country is drifting into a danger that is so great that many people are unable to believe that it is real.” The Home Rule Bill was "bad in itself and without popular backing." The Times opined: “The certainty of civil war as a result of it raises the natural function of an Opposition to an imperative duty." It continued by maintaining that if the public were still apathetic to Home Rule, it was only because they did not believe in the possibility of civil war. “People would not believe in the Balkan War until it happened. They did not believe in the Spanish-American War, nor in the Russo-Japanese War. If anyone had foretold the foundering of the Titanic on her maiden voyage, it would have been laughed aside as an impossibility. Two years ago people would not believe that the Coal Strike would ever take place, even when it had become plainly inevitable to those who could see what was going on. The present danger of civil war is very similar. If the Government continues on the present course, as some of their followers are urging, then civil war is absolutely inevitable." In your leading article this morning you admit, deplore, and seek to explain the prevailing apathy of the public in the face of the appalling and imminent prospect of civil war. The admission and the regret I can understand, but not the explanation. This apathy is ascribed by the ingenious writer to an alleged Constitutional inability of our countrymen to conceive the possibility of disaster until it is actually upon them, and is illustrated by a reference, inter alia, to the loss of the Titanic. No-one, he says, before the melancholy event, would have considered it possible that the Titanic should founder on her maiden voyage. He may be quite right. I have often been warned not to expect too much of analogies, but may I, without undue pedantry, suggest some circumstances which prevent this one from being entirely persuasive? And, finally, suppose that Mr Joynson-Hicks M.P., had stated with a full sense of his responsibility that the stars in their courses were fighting for those who desired the Titanic to sink, and that the God of Battles entirely shared their views. Upon these presuppositions, all of which appear necessary to make the suggested analogy legitimate, I cannot but think that public opinion would have been adverse rather than indifferent to the projected voyage and would have missed no opportunity of manifesting its opposition. If the writer of your article holds that, despite these premonitory circumstances, the public would still have regarded the wreck of the Titanic as a "fantastic impossibility," I concede that he overrates what he calls the "placidity of modern life." The proved indifference of the electorate to the prospect of civil war is not, in my humble judgment, sufficiently explained by our national phlegm. It is not improbable that some members of our race have too little imagination, but is it impossible that others have too much? Home Rule went through at last for Ireland in that spring of 1914. There was no immediate civil war. But there was no Home Rule either. The British Government promptly prorogued the measure owing to a worsening international situation. When war broke out in August, Home Rule was once more placed back on the shelf. Ireland was fated never to get Home Rule, although soon she would set about taking her Independence. He applied at once for an officer’s commission and obtained one in the Queen's Westminsters, from whence he was transferred to the Grenadier Guards. He embarked with the Guards for Flanders. They put him on the general staff, for Asquith was an educated man. Born in 1878 and educated at Winchester, he carried all before him at school, won an open scholarship at Balliol in 1896, and came up to Oxford with a reputation practically made - and assuredly justified - as the most brilliant man of his year. He easily won first class honours, as well as the Ireland, Craven, and Derby scholarships, became President of the Union Society, and in 1902 was elected a Fellow of All Souls. 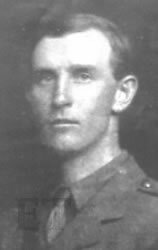 "I am in the trenches and have been for three or four days now," Asquith wrote in one letter home. "So far they are more uncomfortable and less dangerous than I had been led to expect. Waders are essential as the mud and water are well above the knee and the cold is intense. An unpleasant feature is the vast number of rats which gnaw the dead bodies and then run about on one's face, making obscene noises and gestures." He was tall and handsome, and was gifted with a piercing wit, which made his talk a tonic, his letters and still more his occasional verse (never published but privately circulated) a source of pure joy. Though his wit was sometimes sardonic and he chose occasionally to wear the mask of youthful cynicism, his heart was warm and his devotion to his friends very warm. In their affections he was securely enthroned throughout his life. He was called to the bar in 1904, and had laid the foundations of a fine practice. To mention only two of his important cases, he was engaged as junior counsel in the North Atlantic Fisheries Arbitration at The Hague and in the Inquiry into the loss of the steamship Titanic. As a rising lawyer and as a future politician - he had been adopted as a prospective Liberal candidate for Derby - he was following in his father's footsteps when the war broke out. He had been seconded for staff duties, but was always anxious for the work of the trenches. He pressed to be allowed to return to his battalion, and obtained his wish before the beginning of the present Great Offensive (The Somme). He was married in 1907 to Katherine, younger daughter of Sir J. and Lady Horner, and leaves a son and two daughters. King and Queen telegraphed their condolences to Mr Asquith at his Berkshire residence and sympathetic messages were also received from the President and Prime Minister of the French Republic. Downing Street received "telegrams in great number." The Prime Minister had no intention of repatriating his son's body. "Mr Asquith prefers that his son, who met a soldier's death, should have a soldier's burial." It affirms the only plot that Raymond Asquith - coruscating wit and foe of all false prophets - had ever believed in.